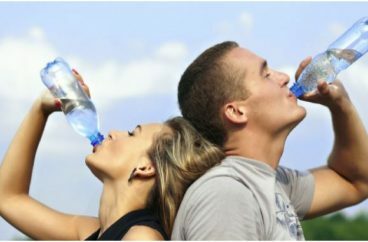 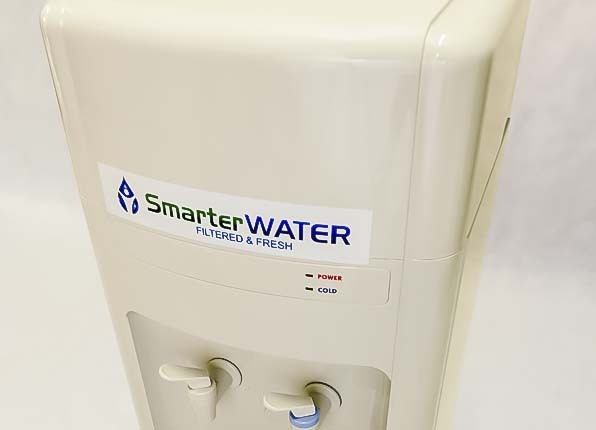 All Smarter Water systems are built to the highest standards for the Australian climate, all having options for Hot & Cold or Chilled/ Ambient water. 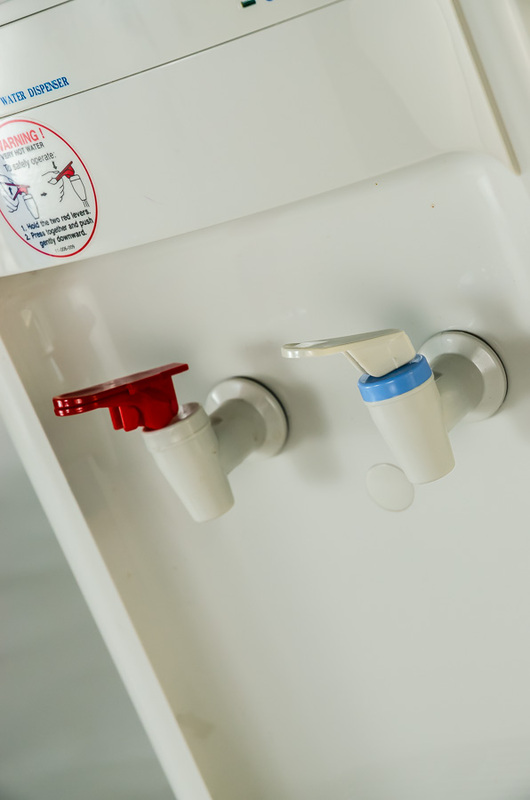 We offer a choice of refillable units or Plumbed-in POU , ideal for heavy usage and harsh environments.If you do not see a style to your liking please ask for details on our extended range.Full service agreements are provided as standard on ALL systems. 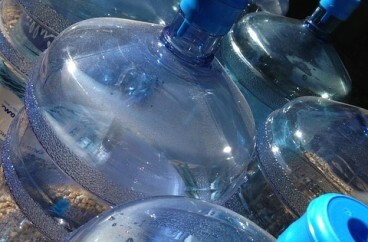 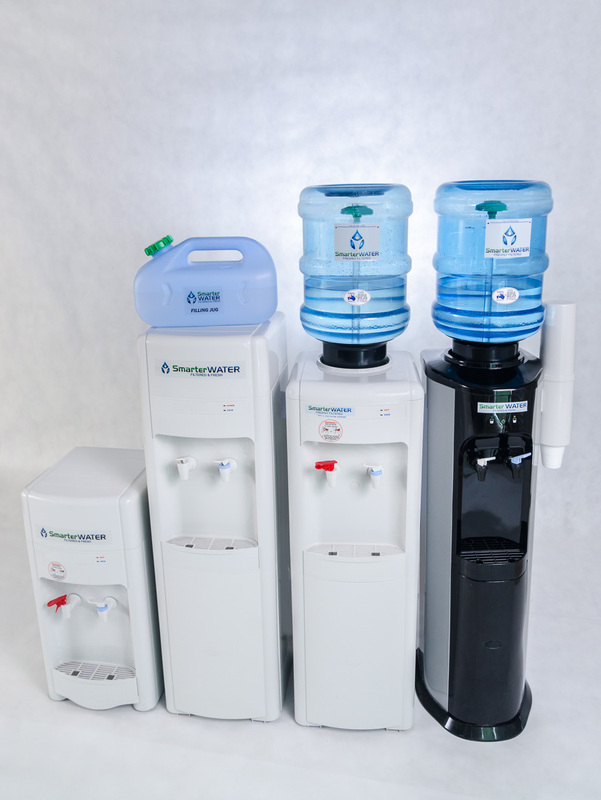 You health is our priority. 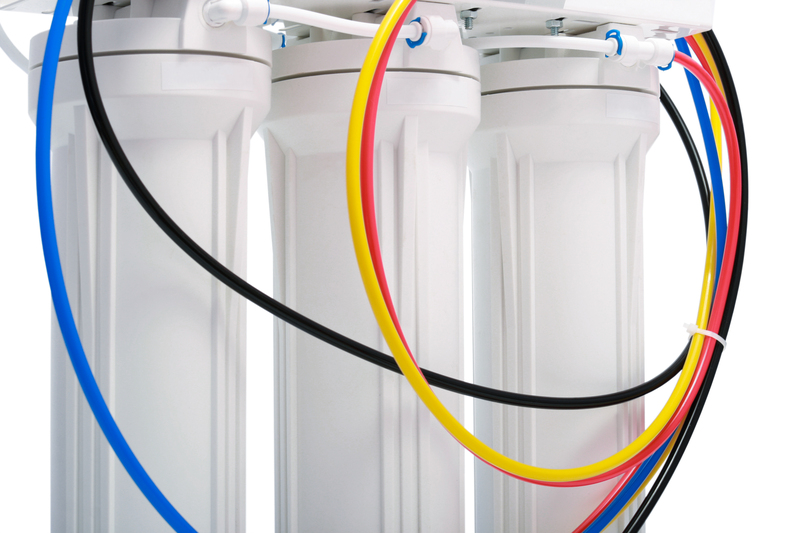 High quality filters with optional reverse osmosis are used for Chlorine, Chemical, Bacteria, Dirt, Taste & Odour reduction and removal. 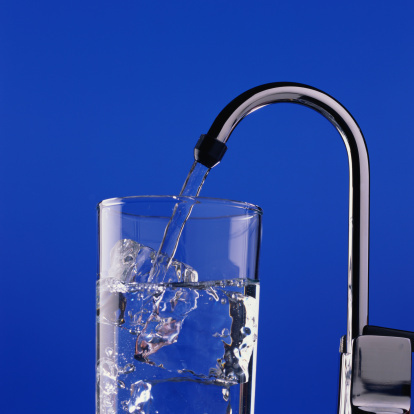 Fluoride removal is available on request. 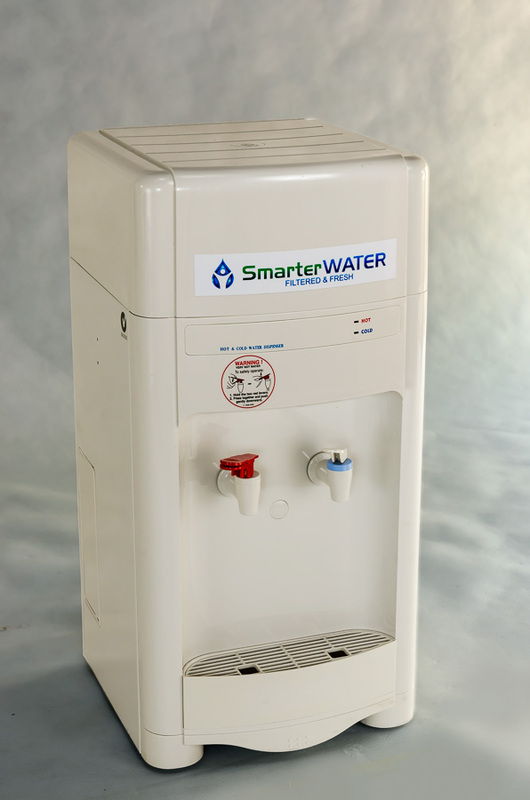 A favourite for over a decade!Reliable and robust, this cooler is the work-horse ideal for virtually any situation; from the smart office to the factory floor. 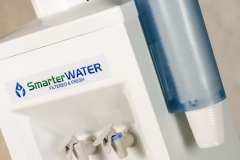 A key design feature is the industrial grade filtration being in-built into the unit leaving all filtered water 100% protected from UV. 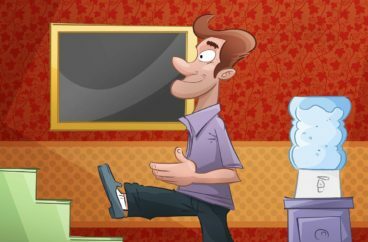 Flexibility of relocating anywhere required. 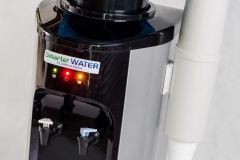 Sleekly designed mains water fed water cooler ideal for heavy usage and harsh environments. 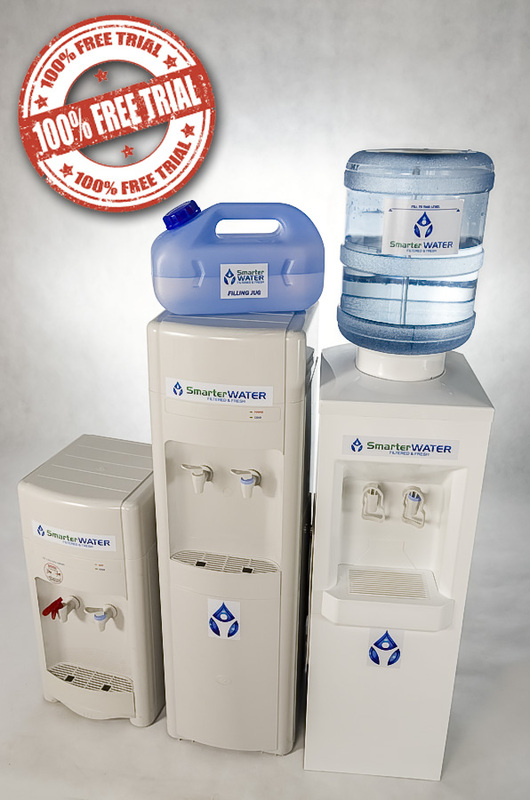 Popular for gyms; large staff areas, bakeries, commercial kitchens, factories and hospitality. 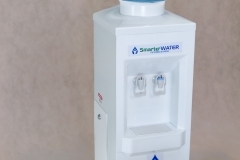 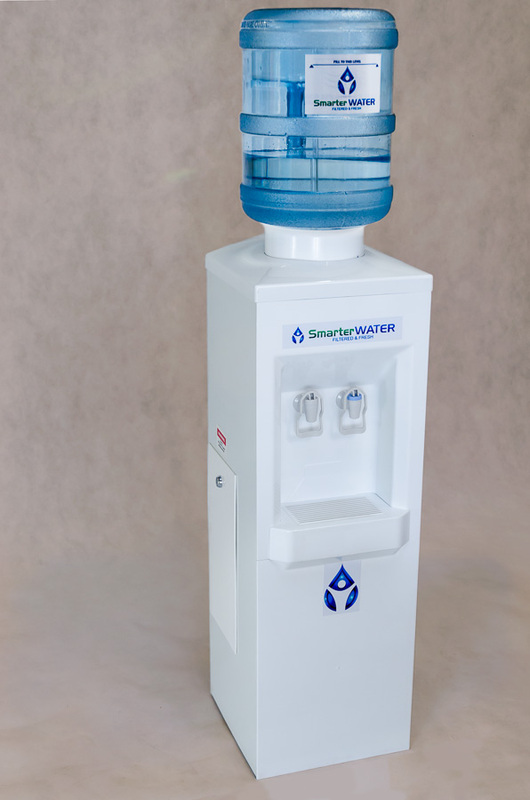 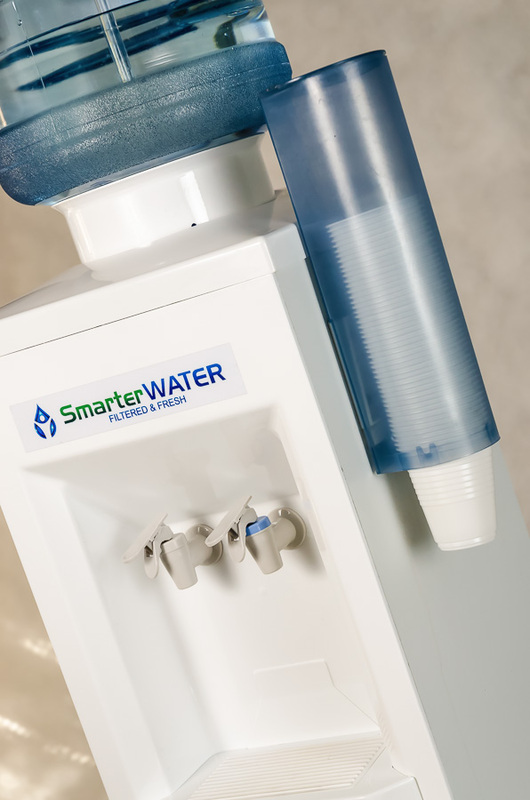 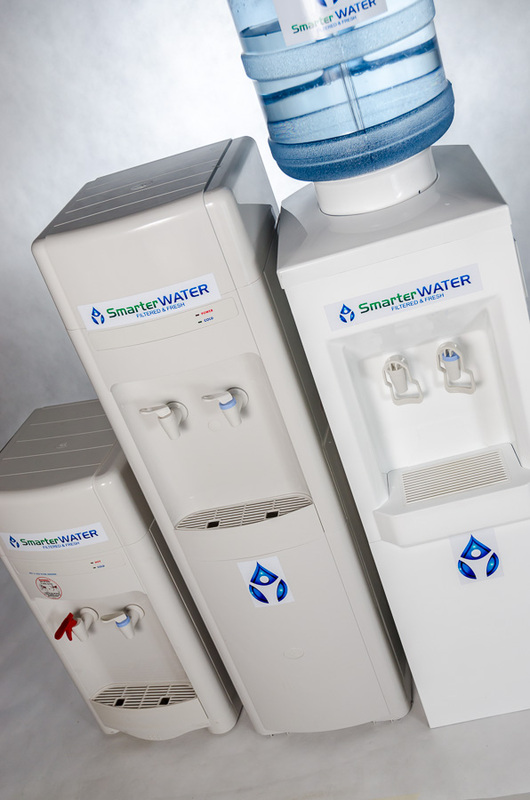 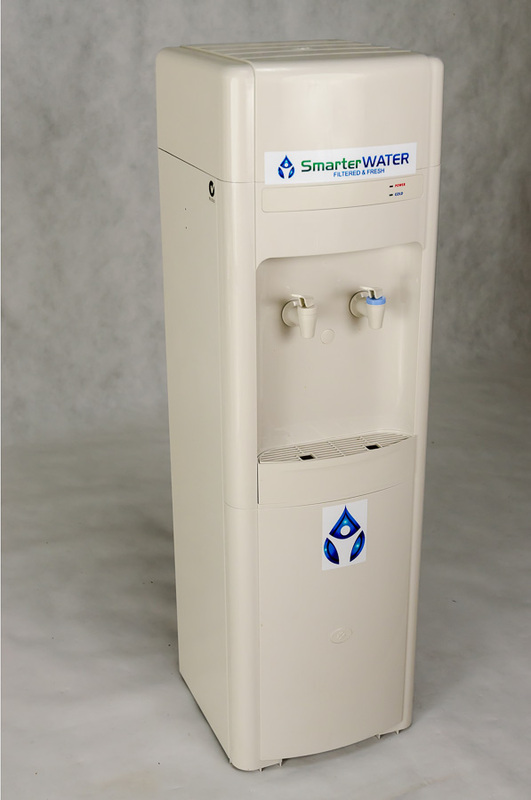 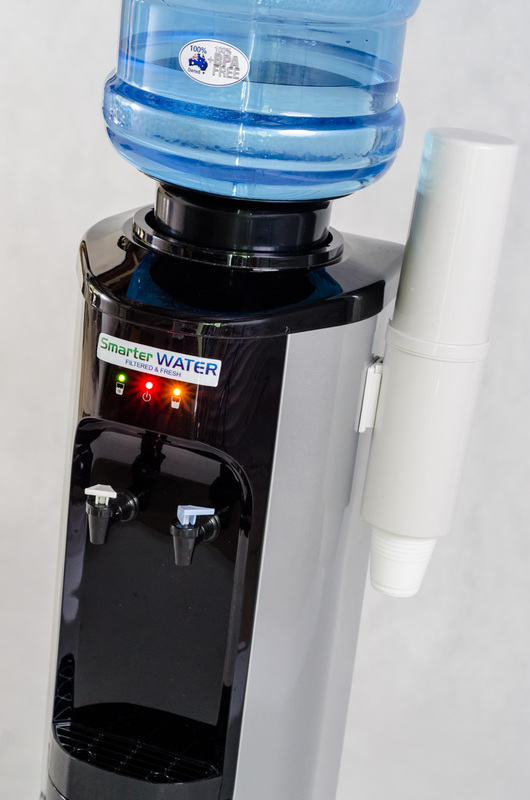 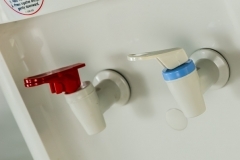 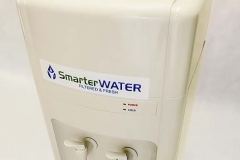 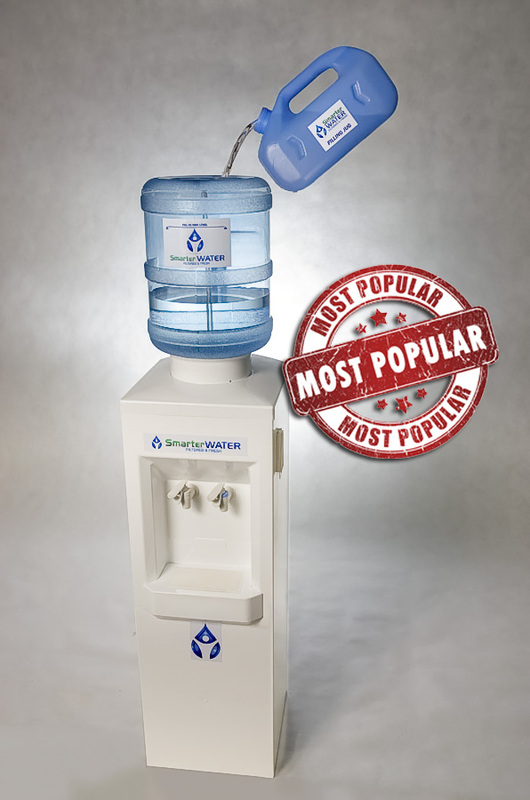 Smarter Water offer a choice of taps and all dispensers come with matching cup dispensers. 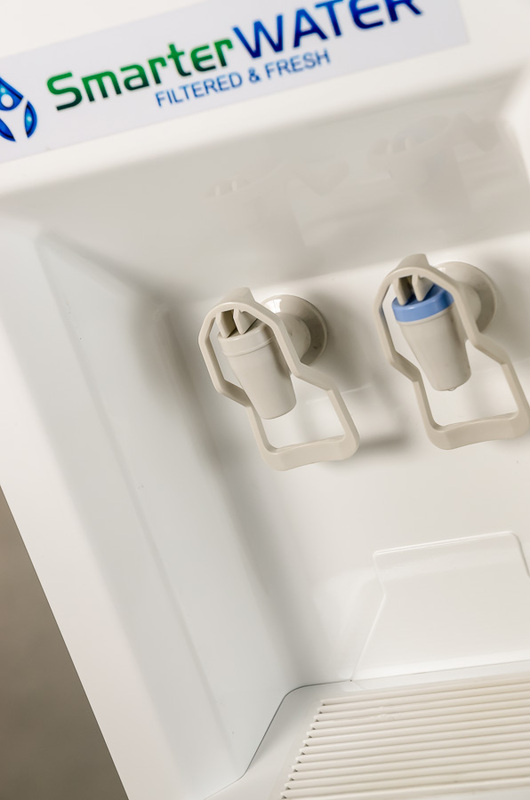 Modern one-hand push & fill C-Taps. 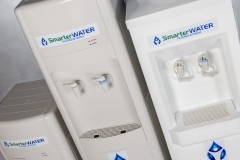 A range of solutions are available for commercial hospitality such and cafes, clubs, restaurants and bars. 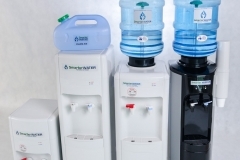 Please contact 1300 552 224 to discuss your individual requirement.